Guided lighthouse tours are available on Mondays, Wednesdays and Fridays at 1pm – contact 02 6566 6301. It’s a short but steep climb to the lighthouse – be sure to wear sturdy shoes. 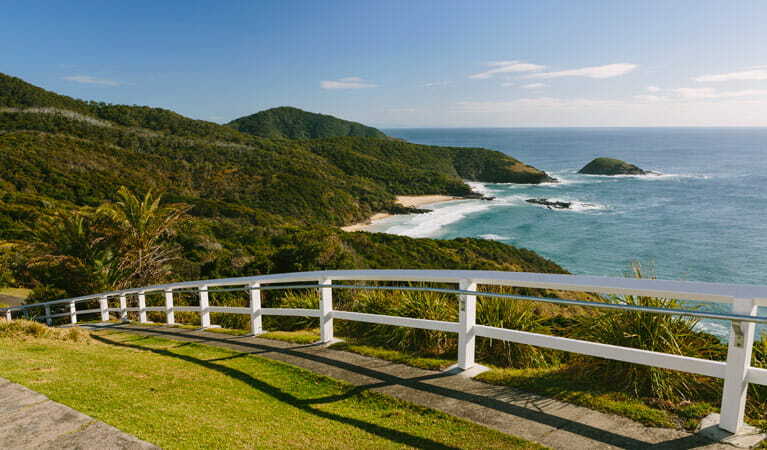 Standing high on a narrow headland, Smoky Cape Lighthouse is surrounded by the stunning coastal scenery of Hat Head National Park. The lighthouse itself is as beautiful as the views – check out its winding staircase and octagonal tower. Built in 1891, this heritage lighthouse is one of the last designed by the Colonial Architect, James Barnet. Smoky Cape headland was so named by Captain Cook after he saw Aboriginal fires burning there in 1770. Guided tours of the lighthouse are available if you would like to find out more. 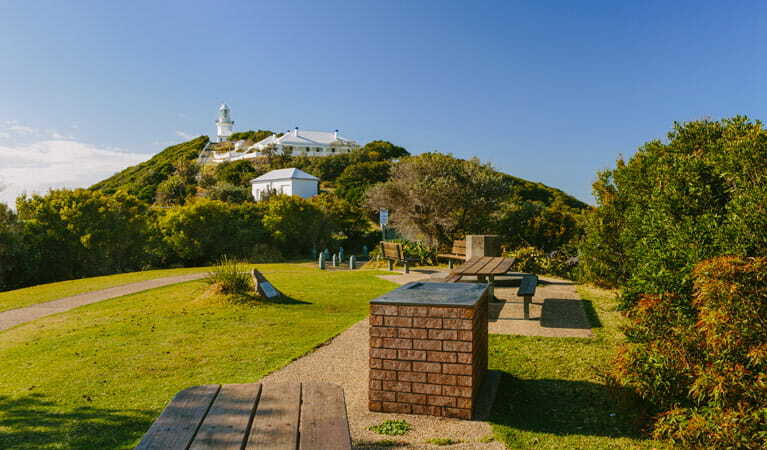 Smoky Cape is a fantastic spot for whale watching, birdwatching and picnicking, and you can stay overnight at the lighthouse keepers’ cottage. 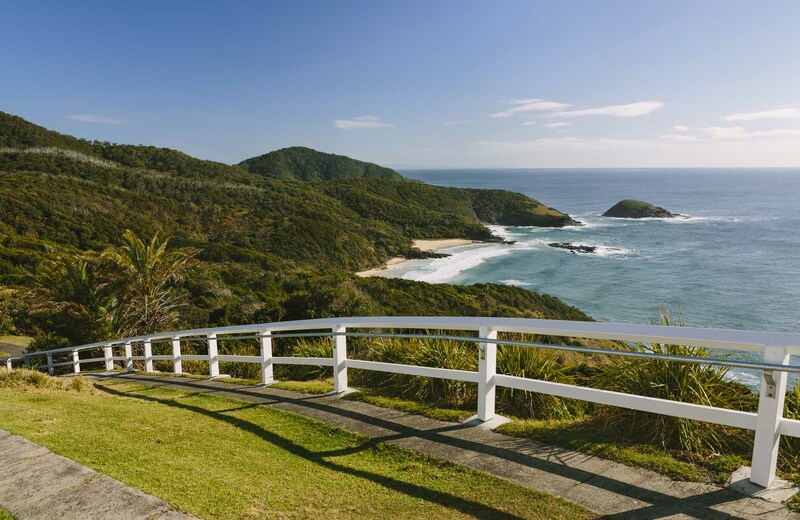 Don’t miss the views at nearbyCaptain Cook’s lookout. 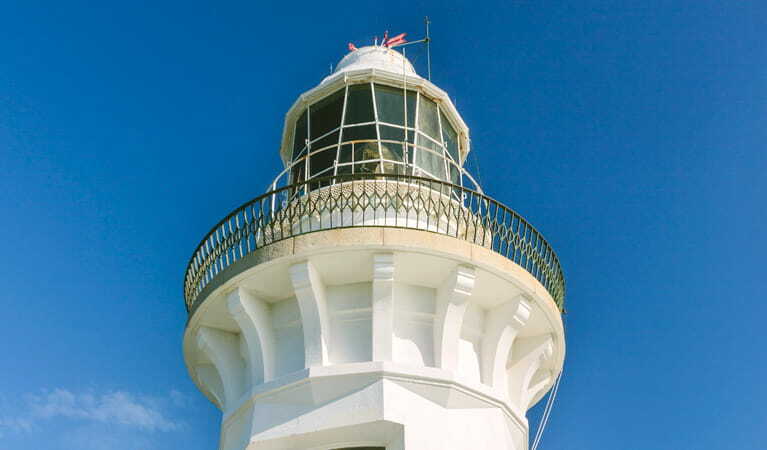 Explore the tallest lighthouse in NSW at Hat Head National Park near South West Rocks. Learn about the 'highway of light' and climb the steep stairs to enjoy the spectacular ocean views from the top.